The concept of bispecific antibodies – monoclonal antibodies able to recognise and engage two different antigens – has been explored for over twenty years. Development of therapies based on the approach has, however, been hampered by difficulties in their construction, poor efficacy and undesirable side-effects. 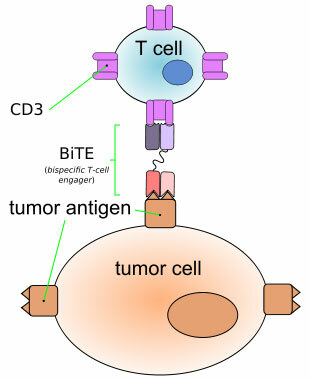 One particular subset of bispecific antibodies, the so-called bispecific T-cell engager (BiTE®), has nevertheless begun to show promise. Blinatumomab, developed by Micromet, targets the CD19 receptor of B-cells and CD3 on T-cells and is designed to direct cytotoxic T-cells to B-cell tumours. Interim data from a phase I trial in Non-Hodgkin’s Lymphoma patients have shown signs of clinical efficacy and additional clinical trials in acute lymphoblastic leukemia (ALL) and chronic lymphocytic leukemia (CLL) are ongoing. More recently, the Micromet team have reported on preclinical data using BiTE® antibodies targeting the EGFR receptor and CD3, incorporating the binding domains of either panitumumab or cetuximab. Panitumumab and cetuximab, as well as EGFR kinase inhibitors, are marketed for treatment of colorectal cancer (CRC) and primarily inhibit CRC growth by interfering with EGFR signalling. CRC patients whose tumours have mutated KRAS or BRAF, however, are resistant to treatment. This latest study, published in Proceedings of the National Academy of Sciences, showed that both EGFR-specific BiTE® antibodies mediated potent redirected lysis of KRAS– and BRAF-mutated CRC lines by human T cells at subpicomolar concentrations. The cetuximab-based BiTE® antibody also inhibited growth of tumours from KRAS– and BRAF-mutated human CRC xenografts, whereas cetuximab was not effective. The researchers also report preliminary safety data in non-human primates and conclude that EGFR-specific BiTE® antibodies may have potential to treat CRC that does not respond to conventional antibodies. Although the first written descriptions of gout date back over 4000 years, it wasn’t until the mid nineteenth century that excess uric acid in the blood leading to needle-like urate deposits in joint spaces was recognised to be the cause of this painful condition. Nowadays, gout is the most common cause of inflammatory joint disease in older men, most commonly affecting men between the ages of 30 and 60. Uric acid is the end product of purine metabolism and most current treatments for gout inhibit xanthine oxidase, the enzyme responsible for oxidising xanthine to uric acid. On June 16th, Savient Pharmaceuticals announced that an FDA advisory committee had recommended that Krystexxa™ (pegloticase), a PEGylated form of recombinant porcine uricase, be granted marketing approval by the FDA for the treatment of chronic refractory gout. 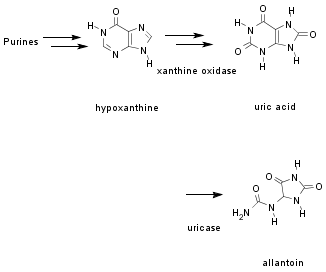 Although uricase (urate oxidase) is present in many species, the gene is non-functional in humans so that uric acid is the endpoint of purine catabolism. Most other non-primates are able to convert uric acid to the more soluble allantoin, which is more easily excreted by the kidneys. A recombinant uricase, Elitek® (rasburicase) is already used to treat some patients undergoing cancer chemotherapy where tumour lysis is expected to lead to elevated levels of plasma uric acid. Evaluate Pharma predict that the six best selling drugs in 2014 will all be biologics. Despite some recent clinical set-backs, Roche’s anticancer drug, Avastin® (bevacizumab), is tipped to be the number one best seller, with 2014 revenues of more than $9 billion. Just behind Avastin® – and rapidly closing the gap – is Abbott’s anti-rheumatic drug, Humira® ( adalimumab). The next four best sellers are predicted to be Rituxan® (rituximab, Roche), Enbrel® (etanercept, Wyeth/Amgen), Lantus® (insulin glargine, Sanofi-Aventis), and Herceptin® (trastuzumab, Roche). Five of these six drugs are antibodies, with three specifically designed to treat cancer. As the so called patent cliff looms (where many big-selling drugs go off-patent between 2011 and 2013), Evaluate Pharma also predict a large hike in sales of generics. Out of total pharmaceutical sales in 2008 of $643.6 billion, 30% were derived from patented products that are ‘at risk’ from generic competition within 5 years. In 2011, Pfizer’s blockbuster, Lipitor® (atorvastatin calcium) will go generic, together with five further products with annual sales in excess of $4 billion. As a way of maintaining revenues, many large pharma companies are diversifying into the generics market. Although the patent life of most of the biologics extends well beyond the current patent cliff for small molecule drugs, the present situation highlights the importance of the ongoing debate, particularly in the United States, over a regulatory pathway for biosimilars. The purity and activity of biologics may be more sensitive than those of small molecules to changes in the manufacturing process, leading to concerns that generics may not be equivalent to the original branded drugs. 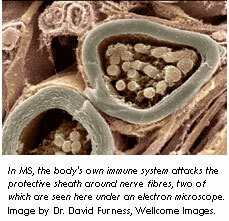 Multiple sclerosis (MS) is an auto-immune disease in which the myelin sheaths surrounding nerve fibres are destroyed. The disease affects millions of people worldwide and can lead to loss of sight and mobility as well as depression, fatigue and problems with cognition. There is currently no cure, and few truly effective treatments. A study published in the New England Journal of Medicine describes the results of a randomized, blinded, phase II clinical trial examining the effects of alemtuzumab in patients with previously untreated, early, relapsing-remitting multiple sclerosis. Alemtuzumab is a humanized monoclonal antibody that targets the CD52 receptor on lymphocytes and monocytes and is prescribed for the treatment of chronic lymphocytic leukemia and T-cell lymphoma. Patients with scores of 3.0 or less on the Expanded Disability Status Scale and disease duration of 3 years or less were assigned to receive either subcutaneous interferon β-1a, (44 µg) three times per week, or annual intravenous cycles of alemtuzumab (either 12 mg or 24 mg per day) for 36 months. Interferon β-1a is one of the most effective licensed therapies for similar cases of MS. Alemtuzumab therapy was suspended in September 2005 after immune thrombocytopenic purpura developed in three patients, one of whom died. Treatment with interferon β-1a continued for the full duration of the study. Alemtuzumab treatment was found to significantly reduce the rate of sustained accumulation of disability by 71% and the annualized rate of relapse by 74% compared with interferon β-1a treatment. Importantly, the mean disability score on a 10-point scale improved by 0.39 point in the alemtuzumab group and worsened by 0.38 point in the interferon β-1a group. The lesion burden was also reduced in the alemtuzumab group compared with the interferon β-1a group and, from month 12 to month 36, brain volume increased in the alemtuzumab group but decreased in the interferon β-1a group. The incidence of side effects was somewhat higher in the alemtuzumab group compared with the interferon β-1a group. Adverse events included thyroid disorders (23% vs 3%), immune thrombocytopenic purpura (3% vs 1%) and infections (66% vs 47%). There were no significant differences in outcomes between the 12-mg dose and the 24-mg dose of alemtuzumab. 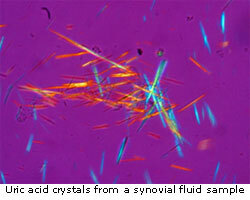 Rheumatoid Arthritis (RA) is a painful, chronic, progressive and disabling auto-immune disease. Newly released data has shown that a novel biologic, Actemra™ (tocilizumab), is superior to current standard of care in RA patients. Actemra™ is a humanised monoclonal antibody to the interleukin-6 receptor that blocks the activity of interleukin-6, a protein that plays a major role in the RA inflammatory process. Actemra™ is awaiting approval in the United States and Europe. 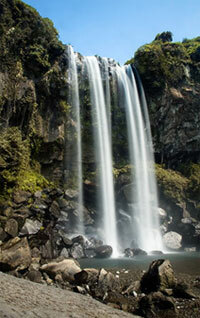 In Japan, Actemra™ was approved for the treatment of RA in April 2008. Other biologics are already used to treat RA and act at different points in the inflammatory process. Orencia® (abatacept) works by reducing the activation of T-cells, which reduces the activation of other cells in the RA inflammatory process. 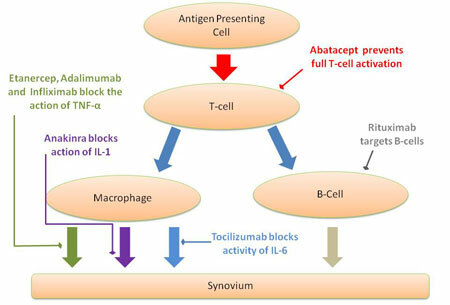 Humera®(adalimumab), Enbrel®( etanercept) and Remicade® (infliximab) block the action of TNF-alpha, an inflammatory cytokine that leads to tissue damage. Mabthera® (rituximab) targets B cells, one of the key players in the pathogenesis of RA. Kineret® (anakinra) blocks the actions of the cytokine, IL-1. The biologic medicines are usually prescribed together with the disease-modifying anti-rheumatic drug, methotrexate. Although many companies do not publicise trials, the available evidence shows that biologics are still lagging behind traditional small molecules in the drug development stakes. An analysis published by DrugResearcher of drugs entering clinical trials in 2007 showed that more than twice as many small molecules as biologics made it to first time in man. Although biologics are likely to make up an increasing proportion of new products, there will still be areas where small molecules can achieve better results. Biologics work primarily on disease targets outside the cell, whereas small molecules can also work inside cells. In any therapeutic area, ignoring the intracellular targets may prove costly.